Emirates Driving Institute - Summer 2017 special offer. 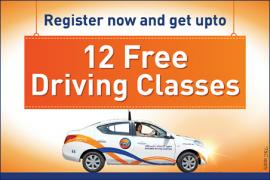 Register now get upto 12 Free Driving Classes. 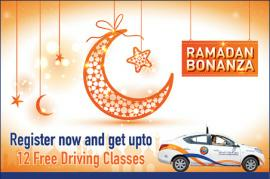 Emirates Driving Institute - Ramadan Offer. Register and get Free classes. Now get upto 12 classes FREE this Ramadan. TomatoSALE offers you the best deals, offers, discounts and sales in the education sector. Offer listings for books, stationery, CDs, study materials and more at discounted rates for students and public. Log on to TomatoSALE to get all these deals & details in stores in Dubai, Abu Dhabi, Sharjah and all over UAE. Books, CDs, study material, stationery for any age group for any topic in various stores in Dubai, Abu Dhabi, Sharjah and all over UAE at discounted prices, offers & sales listed on TomatoSALE. Find offers, sales, deals on education related material on TomatoSALE. Be the first one to know about these sales and offers and get them before stocks run out or offers are closed. Be privileged to know firsthand through TomatoSALE. Get best deals only on TomatoSALE. One destination for all shopping offers for malls, stores, shopping centers anywhere in Dubai, Abu Dhabi, Sharjah and all over UAE.